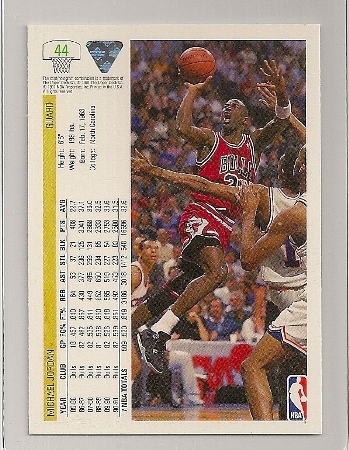 1991-92 Upper Deck Michael Jordan Card #44. Michael Jordan 1991-92 Upper Deck Basketball Trading Card #44. 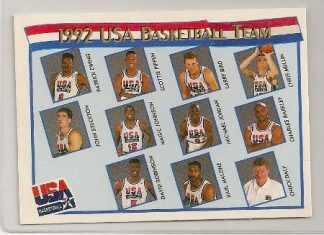 In 1991, Upper Deck released their first ever basketball trading card set. 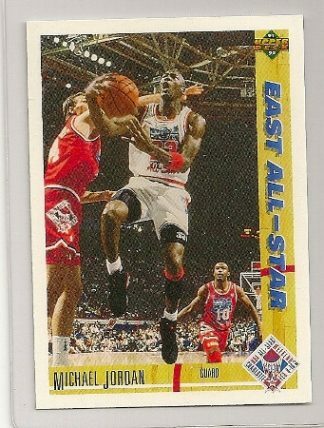 When this set was released it caught fire with collectors. 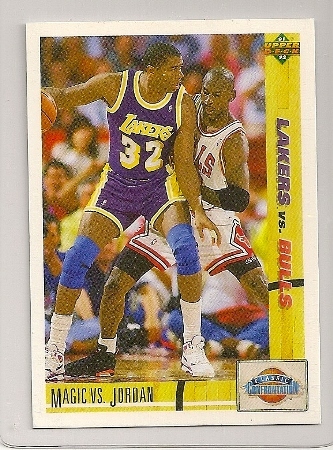 The Larry Johnson and Dikembe Mutombo rookie cards were the most sought after cards in those early days. 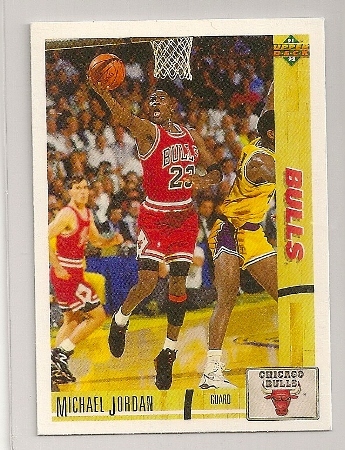 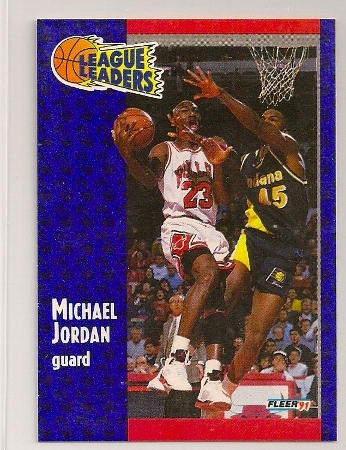 This card here is the 1991-92 Upper Deck Michael Jordan card. 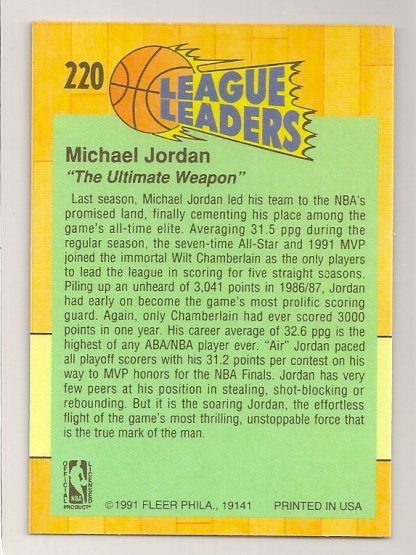 It is #44 of the 500 card set. 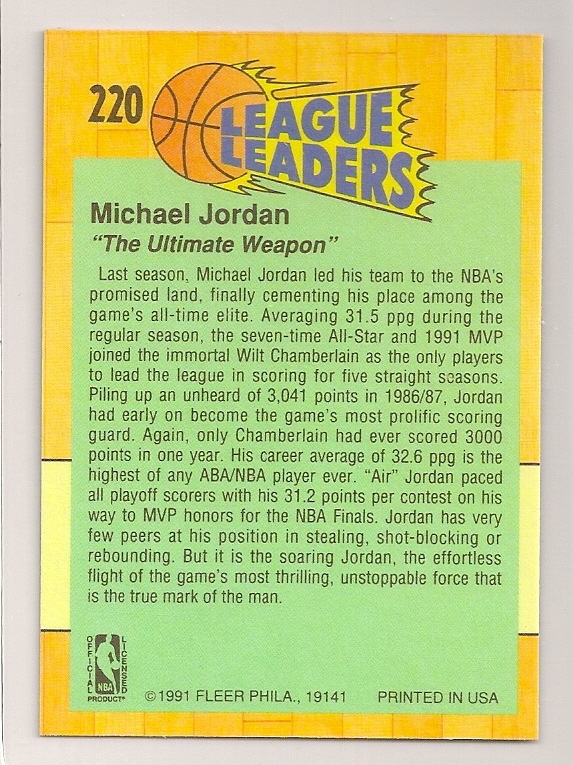 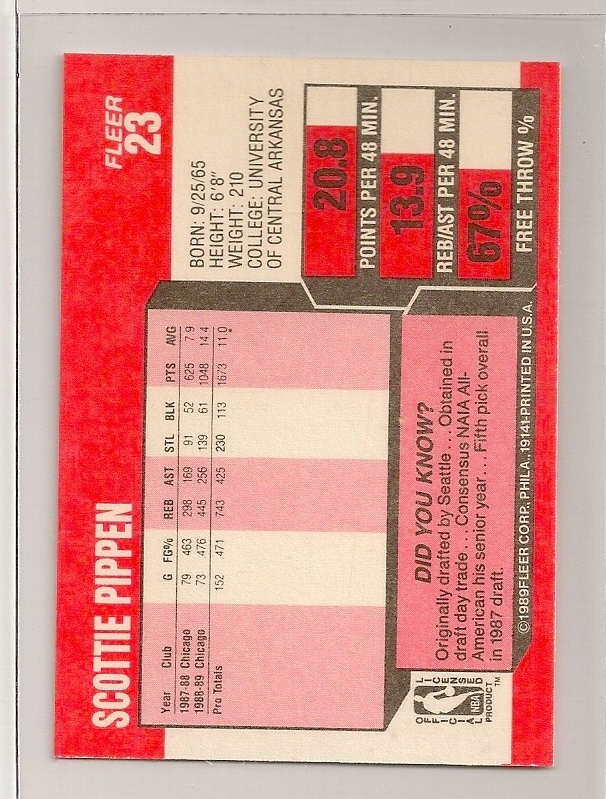 Click here to view the complete checklist of 91-92 Upper Deck basketball cards. 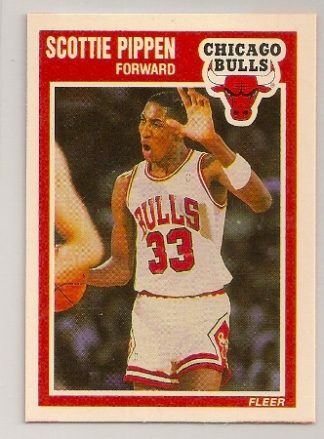 1989-90 Fleer Scottie Pippen Basketball Card. 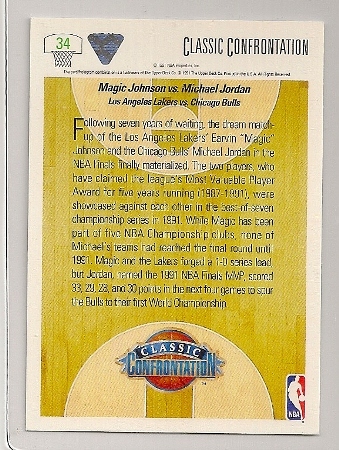 1991-92 Upper Deck “Classic Confrontations” Michael Jordan vs. Magic Johnson Card #34.